British and Belgian soldiers retreating from the defense of Antwerp. The Belgian Army and the British forces that had come to defend the city evacuated on October 7 and 8, 1914. A major port and fortified city on the River Scheldt, encircled by the River and its canal, Antwerp was the last major city held by Belgian forces. The Belgians, under the leadership of King Albert, made a stand at Antwerp after being driven from their position on the Gette River east of the fallen capital of Brussels. 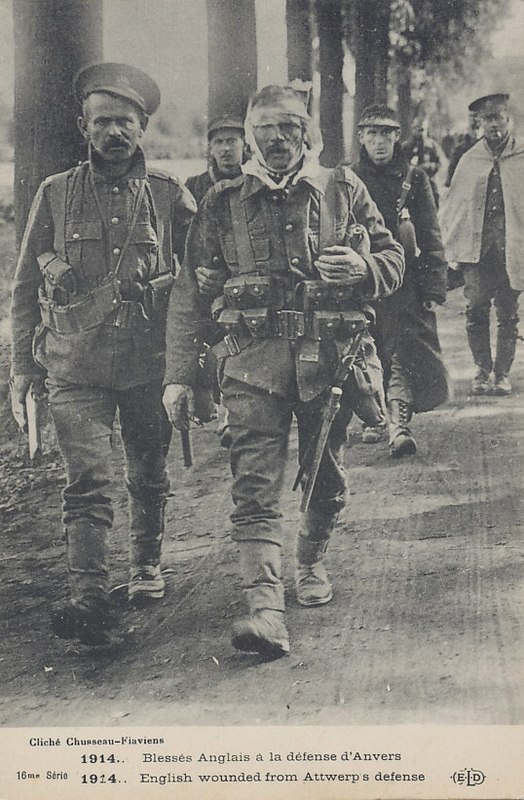 Belgian forces harassed the Germans from Antwerp, and tied down two German army corps. On September 7, 8, and 9, during the Battle of the Marne, the Belgians sortied from the city ensuring the German forces would remain in place. As British forces were being ferried to Belgium, Winston Churchill, First Lord of the Admiralty, reinforced the Belgians in Antwerp first, on October 3, with British marines and recently volunteered sailors and shortly after, on October 5, with an army division, a cavalry division, and Churchill himself. The siege of Antwerp began on in earnest in the first days of October. 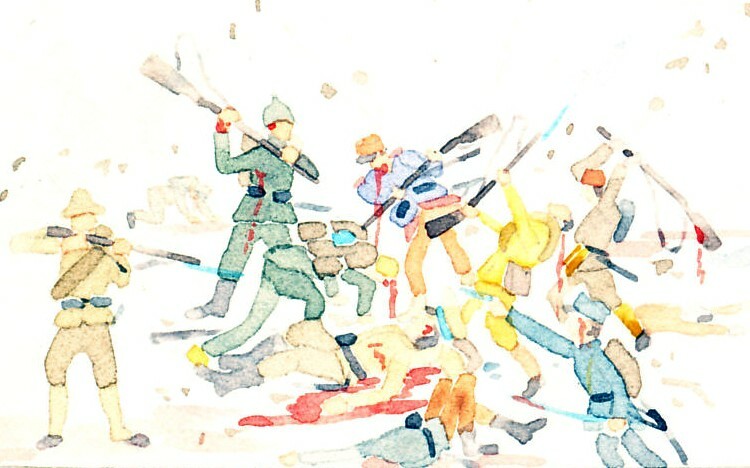 By October 8, it was clear the outer forts and connecting trenches would fall soon. The Belgian and British forces evacuated the city. Although most did so successfully, some were captured by German forces. Some other British troops became lost and crossed into the neutral Netherlands, where they were interred for the remainder of the war. On October 9, the city was bombed during a Zeppelin raid, and was occupied by the next day. The Siege and Fall of Antwerp, Belgium is part of Germany Conquers Neutral Belgium.